DUSA is on hand to help you do your best at university. We offer advice to make the most of your studies and when you face issues that effect your studies, we can help. It can be difficult to understand the many different forms of Academic Misconduct, especially when they have names like collusion! This video has been designed to help explain in simple terms the six most common types of misconduct and how to avoid them. Plagiarism is the most common form and therefore a special focus is put on this. If you have any further questions or are going through a disciplinary because you have committed Academic Misconduct, please contact DUSA, your academic advisor, your module co-ordinator, and/or read the full policy for more information. A mitigating circumstance is any situation, beyond your control, which has temporarily prevented you from undertaking an assessment or has significantly impaired your performance. Download our guide to learn more before completing a mitigating circumstance form. If you’ve been a given a grade in an assessment, module or degree classification that you are not happy with, you may be able to lodge an academic appeal. Download our helpful guide below for information on the process and what to expect. Contact DUSA Advice at advice@dusa.co.uk to find out whether you could be eligible for an appeal. If you have received a letter from the University saying that you are undergoing the termination of studies process, DUSA Advice is your first line of defence. Contact us at advice@dusa.co.uk for free, impartial advice on how to appeal against the termination of your studies. Fitness to Practice procedures arise in courses like Medicine, Dentistry, Nursing, Social Work, and Teaching, where professional standards are expected from the student. If you have been informed that you are undergoing a fitness to practice procedure, or if you are seeking advice following a decision by a fitness to practice panel, contact us at advice@dusa.co.uk for free and impartial advice. Something wrong? If you believe that something in your module, course or wider academic life has gone awry, you are entitled to file a formal complaint with the School Office. DUSA can also bring informal complaints to the attention of the School management if the formal route is not for you. EDP status occurs when a student fails to achieve the necessary grades/credits to be allowed to progress into the next level. Every School has a different policy, to find out more about EDP download our guide or contact us at advice@dusa.co.uk for free and impartial advice. DUSA is here to help you make the most of your time at University. 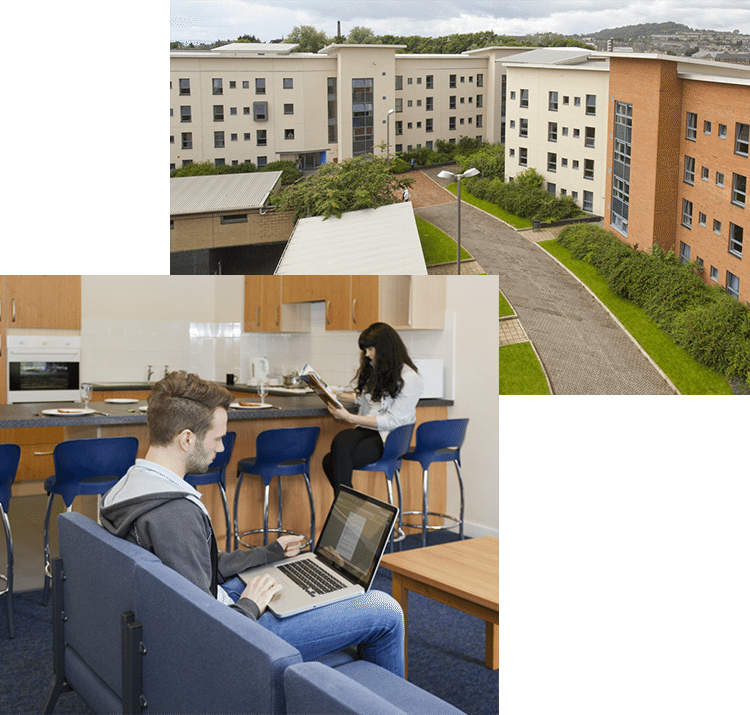 We work alongside the University’s Student Services to provide the best advice on studying so that you can perform at your best during your time in Dundee. Each of us has our own unique studying style; it’s up to you to find yours. But here we can provide you some helpful advice to find a study routine that works for you. As any final year student desperately trying to hammer through those final thousand words of a dissertation before a morning hand-in, good timing is the key to good studying. Set out a timetable for your studies; give yourself at least a couple of weeks before each major assessment, factoring in each topic area you need to cover before exam time. It’s not just a snack slogan. Taking regular breaks during a study session is crucial for keeping your concentration levels up. It will also help you retain the information you learn. Instead of attempting to slog it out in a straight 10 hour study session, break it up into twenty 30 minute sessions with a 5 minute break in between. Get a coffee, stretch your legs, do some exercise, and then get stuck back into it. Do not just go through your notes with a highlighter, colouring in the information that you think might be relevant. This is called ‘passive learning’, and will only help you retain information for a short period of time; useless in the heat of an exam. Instead, interact with the information. Draw up flashcards (with the topic title on the front and the information of the back) to challenge your memory and improve your knowledge on the area. Before each session, jot down a list of goals that you want to achieve. Keep it simple; if your goal takes too long to define, it’s probably not achievable in a single session. Break bigger goals into smaller parts, and methodically work through them. If you’re working on an assignment or a dissertation, divide the number of words you have to write by the number of days you have left until the deadline (e.g. 15,000 words over 60 days equals 250 words a day). Then aim to write a minimum of 250 words a day. This will keep your head above water during a long assignment. Studies show that students who are told that they are revising for a test retain less information than students who are told they are preparing for a presentation to teach other students. When you are expected to be able to teach, your brain will organise the information in a more logical, cohesive structure than when you’re expecting merely to memorise the information. Work in a group of your peers, try and learn the information well enough to be able to teach it to them. Get the past papers out, lock yourself away, and test your knowledge in real time; just like in a real exam situation. Not only will this prepare you for the exam, but it will help show you which areas you need to brush up on before the big day. Where you study effects how you study. This is very much a matter of personal preference. Some folks study best in dead silence in the library, others in noisy cafes, and still others in a blanket nest they’ve made under their desk at home. Find out what works for you. Remove distractions like your phone, block out any distracting sounds or images, gather up all the materials you need, and get focused. Educational psychologists have shown that each individual has their own personal learning style. Some learn better by seeing, others by hearing, others by reading and writing, and still others by physical interaction. Take the VARK test here, so you can find out which style suits you best.